Results of a new study “support the therapeutic potential of cannabinoids in patients with OSA [obstructive sleep apnea]”. For the study, published in the journal Sleep and epublished ahead of print by the National Institute of Health, “73 adults with moderate or severe OSA received either placebo (N=25), 2.5mg dronabinol (N=21) or 10mg dronabinol (N=27) daily, one hour before bedtime for up to 6 weeks.” Dronabinol, also called Marinol, is a synthetic THC meant to mimic the effects of natural, cannabis-based THC. 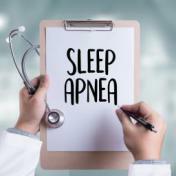 The post Study Finds Cannabinoids May Effectively Treat Obstructive Sleep Apnea appeared first on TheJointBlog.